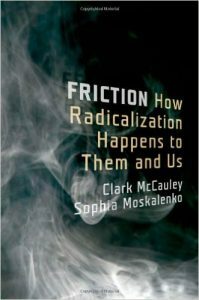 A number of critics who are more interested in attacking religion, especially Islam, than in making the effort to understand what scholarly research has uncovered about why individuals become terrorists have often missed a critical reason for radicalization. This reason seems too simple and some have scoffed at the idea as if it is some left-wing loony nonsense — such as anthropologist Scott Atran’s claim that street soccer networks can enable us to predict who is at risk of extremism. It is a fact, however, that some of us over time do get mixed up in things neither we nor any of our acquaintances would ever have suspected. And it’s not because we convert to some fanatical religious idea. McCauley and Moskalenko introduce us to Sophia (Sonia) Perovskaya, a Russian girl born into nobility and who was attracted to idealistic student movements seeking to improve the lot of the peasantry. Her ideals forbade her from crossing the line of violence. Like many others who ventured “into the people,” Sonia did not have much success in mobilizing the peasants. Instead, it appears from her letters at the time that she became more and more involved in the mission of making peasants’ lives better, having seen the horrible conditions in which they lived. 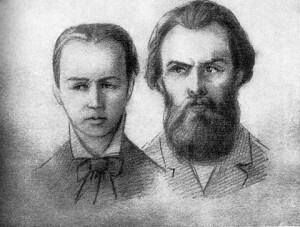 Unfortunately there was a strong sexual attraction between Andrei Zhelyabov and Sophia Perovskaya and Sophia found herself contributing her time to both the main nonviolent group and the breakaways and she ended her life on the gallows with Andrei for her part in the attempted assassination. The above is just one case study that in one form or another has been repeated many times. The prevalence of friends, lovers, and relatives among those recruited to terrorism has made personal relationships an important part of recent theorizing about terrorism, perhaps because it recovers the “known associates” approach to criminal investigation. As with criminal gangs, individuals are recruited to a terrorist group via personal connections with existing members. No terrorist wants to try to recruit someone who might betray the terrorists to the authorities. In practice, this means recruiting from the network of friends, lovers, and family. Trust may determine the network within which radicals and terrorists recruit, but love often determines who will join. There are many things I cannot explain by analyzing the political situation . . . as far as I am concerned it was up to emotional feelings, or passions for the people I shared my life with. Della Porta refers to “block recruitments”, meaning that a group of friends would all decide together to actively join an underground movement. Once in the group, the adventures experienced, the threats and dangers encountered, all work towards increasing any individual’s bond with their comrades. The sense of solidarity works both to encourage entry into the group and to prevent any serious thought of leaving the group. 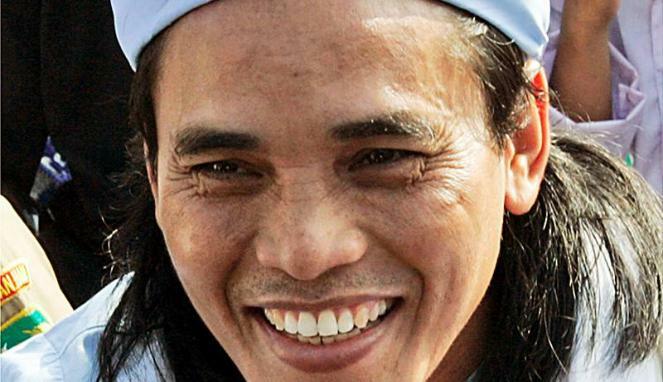 Australians more than many other Westerners are familiar with Amrozi “the smiling terrorist”, the Indonesian who bought the van involved in the Bali bombings (not far from where I am typing this post) in 2002. Amrozi bin Nurhasyim is described as “a spectacular failure of his father’s efforts” to raise him as a devout Wahabbist Muslim. He was a fun-loving disgrace to his whole family. He drifted through schools, jobs and marriages, always making himself useful as the one who could fix anything from a motorbike to a cell phone. His older brother, on the other hand, Muklas, did take up his father’s Islamist teachings. Muklas became a leader in a terrorist outfit with ties to Al Qaeda, operated often in Malaysia to escape the Indonesian authorities, had experienced the war in Afghanistan, and had been tasked with building a new Islamist boarding school for Indonesians living in Malaysia. After drifting through odd jobs and a couple of marriages Amrozi finally caught up with his older brother to whom he looked up as a most admirable success and role-model in life. Amrozi did not adopt a radical version of Islam because he was intellectually persuaded, and did not join in violence against infidels and apostates because he had suffered himself from those targeted. He joined in the life and work of the brother he admired in order to be with his brother, and he basked in brotherly approval when he later joined Muklas and their youngest brother, Ali Imron, in the campaign of terrorism that produced the Bali attacks. To complete the network, Amrozi bought the incriminating van from a personal acquaintance. He was executed alongside his older brother in 2008, proud of what he had finally achieved in life. All quotations are from the Kindle version of Friction. Incidentally — in preparing this post I learned that Australia’s “Father of Federation”, Henry Parkes, wrote a poem about Sophia Perovskaya, The Beauteous Terrorist. He was struck by the incongruity of her outward appearance and character housing the soul of a murderer, apparently unaware of her life story prior to her involvement with the assassination attempt and of how she had changed through her love for Zhelyabov. Posted on 2015-11-10 12:40:37 GMT+0000 by Neil Godfrey. This entry was posted in Terrorism and tagged Radicalization, Terrorism. Bookmark the permalink. This may have already been addressed in one of the previous threads. ISIL recruitment through the internet seems to be relatively unconnected to traditional approaches? Yes, no? Is such recruitment more influenced by religious persuasions? Also, ISIL is probably best understood as a quasi-state and recruitment is perhaps affected somewhat differently. We hear much about the caliphate in relation to ISIL recruitment and I wonder how much this truly affects decisions. The most comprehensive discussion of your question that I have read is in chapters 6 and 7 of Stern and Berger’s book that I recently posted about. Chapter 6 is titled “Jihad Goes Social” — covers the various extremist platforms used, Youtube, Google, Facebook, Tumblr, Twitter and others — the various ways law enforcement authorities approach these venues; the line between hard-core (secret) terrorist accounts and those accessible to those at initial inquiry stages, etc. Then there were the recruiters. Prior to 9/11, jihadist recruiters had done much of their work in “brick-and-mortar” settings, with former foreign fighters traveling from city to city to tell potential recruits about their experiences and to urge them to join the conflict du jour. Potential fighters could follow actual fighters from their home countries on Twitter, talk to them, ask questions, and eventually receive guidance about how to join the fight. In addition to Twitter and Facebook, many fighters signed up for ask.fm, the question-and-answer website where they entertained queries that ranged from the banal to practical. Recruits might travel on their own initiative to Turkey near the Syrian border, then log on to Twitter and ask for someone to come and pick them up. Incredibly, it seemed to work on a regular basis. People specfically tasked with recruitment also stalked the vulnerable online, although the old ways did not completely fade. Many groups maintained dedicated recruitment networks on the ground. For instance, ISIS had operatives recruiting in Minneapolis, once a major pipeline for al Shabab fighters. Individuals worked the community, promising money and marriage to young men (and women), some of whom had belonged to gangs that had adopted street names based on famous jihadist figures. All of them also followed each other on Twitter, where the recruiters could keep tabs on what was happening and communicate privately with those who seemed willing. . . . But some of the professional radicalizers and recruiters simply moved their whole portfolios online, where they could operate more privately, away from the targets friends and family, a practical tactic. The primary work of the recruiter was building relationships, after all, and social media was made for that. . . . It appears to me that the social media technology has made it easier for individuals to be connected to new networks and therefore prised away from their off-line ones. The networks and relationships are there — with the difference that everyone has more opportunities for exposure to more of them. It’s a fascinating question. In response to another part of your question, the same book (Stern and Berger) cite an interview with Thomas Hegghammer, director of terrorism research in Norway. The original online article is Why Have a Record Number of Westerners Joined the Islamic State?. He does say that a higher ratio of the foreign fighters (we can assume to a large extent recruited online) are more ideological than many others. Earlier recruits had more altruistic motives (removing Assad from the power over the Syrians). But as we would expect many are also attracted by the adventure. Simplistic explanations — it is religion, it is political grievance — break down when we try to explain why, say, only one of a pair of siblings brought up and living together will radicalize. For some reason, Mr.Godfrey mindlessly parrots Sam Harris’s claim that I think that religion has no role in jihadi violence. Instead of Parroting, I suggest he read the articles of have written lately on the subject in Science, PNAS, The New York Times, Guardian, Daily Beast, as well as interviews in Nature on NPR, Fox, MSNBC and elsewhere. Scott, I regularly refer to your writings, both books and articles, with strong approval and I regularly condemn Sam Harris’s distortions accusing you and others of denying any role for religion in jihadi violence. In the comment to which you took exception I was actually referring to Sam Harris’s and Jerry Coyne’s ignorant mocking of your “soccer associations” having any predictive value regarding who was likely to become a terrorist. This particular post was zeroing in on the theme of social networks and bonding as one of the factors involved in radicalisation. Regular readers of this blog know I am on your side and totally against Sam Harris’s. See http://vridar.org/category/book-reviews-notes/atran-talking-to-the-enemy/ for example. AH, I misunderstood, shame on me, and I apologize.